Warm, pristine waters with consistent seasonal swells! Surf Breaks in Bocas del Toro: lots of lefts, some rights, beach breaks, reef breaks and even point breaks. Learn what they're like and where they are. Surf Lessons: from your first ever surf lesson where you'll learn the basics until when you're able to stand up and ride the face of the wave and even make a few turns, check out what it takes to surf! Bocas del Toro Surfing Season: from November to April and from June to August, learn more about Bocas del Toro's surfing conditions, how the swells are produced and what type of surf you'll encounter. 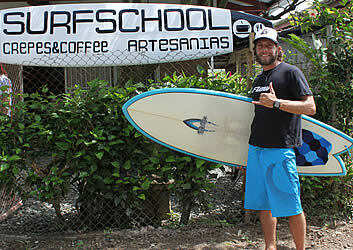 Surf Schools in Bocas del Toro: La Escuela del Mar & Mono Loco Surf School are Habla Ya's surf providers. If you're thinking about surfing while you learn Spanish in Central America, check out our Learn Spanish & Surf Program. We recommend that you follow Red Frog Bungalows on Instagram to make up your own informed opinion about how good the surf actually is. Check out this video in which local surfers Juampi Caraballo and Oli Camarena take Keoni Jones, Kaoli Kohakuloa, both from Hawaii, and Jake Davis from California, around Bocas del Toro in search for some great waves! One of the great things about Bocas del Toro surfing is that there are plenty of uncrowded surf breaks and if you come along a busier one you can just move on to the next one (or wake up earlier!). Julian Wilson, Ian Walsh and Jamie O'Brien paid us a visit. Check out their video! And as follows are some of Bocas del Toro's most popular surf breaks! Depending on which break you're going to, it's just a 5 or 10 minute boat ride from town. If you're with others in the boat expect to pay $2 per person each way, or $6 if you're the only person on the boat. Old Man's: an A-frame that breaks in the middle of a channel, Old Man's is a fun wave for everyone. Even though it's a reef break, the water is deep enough for it not to be a hazard so it's great for beginners. Black Rock: a fun right suitable for beginners, that also breaks in the middle of the channel with a sandy reef bottom. On bigger days it can be more powerful. Carenero: the point break that put Bocas del Toro on the surfing map, it has an inner and outer section that when it's big can connect to make for very long rides. With 5 distinct peaks this break can hold a lot of surfers. This break starts working at 4 feet and can hold swells of up to 12 or a bit more. With the right angle, expect hollow and powerful tubes. Plenty of current. Only for intermediate - advanced surfers. From town you can take a taxi to get to these breaks or just ride a bike. Waikiki is just a 5 minute drive out of town and a taxi should charge you $1. Tiger Tail and Paunch are about a 15 minute drive out of town and a full taxi charges about $8 - $10 per trip (the last 5 minutes are driven over the beach). To Dumpers add about $2 or $3 more and a trip to Bluff should be around $15 for a full taxi. You can also take a boat from town to these breaks. Waikiki: located just out of town at Playa El Istmito, this is a mellow beach break with sand bottom suitable for beginners and longboarders. It throws both lefts and rights and is great for beginners to just practice standing up and going straight on the whitewater. It does need a larger swell to start showing and will be breaking smaller than everywhere else. A good place to look for is in front of the Smithsonian Institute. Tiger Tail: one of the first breaks that starts showing, it's a fun right-hander when small, and once it is head high or overhead, breaks pretty steep and powerful to both the left and right. When small, it's suitable for beginners but not afterwards. With a sand/reef bottom, if it gets just a bit bigger, it starts closing out as it breaks in a small gap in the reef. Paunch: surfers looking for some reef experience can try out Paunch which gently breaks mostly to the left but also has a right. With clean faces great for playing around, Paunch can get quite square if the surf is really big and then only the really experienced should try it out. Dumpers: outer dumpers provides one of the fastest rides in town. With a steep drop, surfers should get ready for a short tube. This is a wave you really don't want to fall off, as the reef is exposed right in front of you and there are even caves under the hole where the wave breaks. Inner dumpers provides a longer ride with clean steep walls and at the right size can also give you some really nice tubes. Bluff: only for advanced and pro surfers, when conditions are right, Bluff is hollow, fast and very powerful. It breaks almost over the shore and eats boards when it's hungry. To get to Wizard beach you can grab a boat to Bastimentos and then hike for 30 minutes through the island. To get to Playa Larga or Silverbacks you'll need to arrange a boat with other surfers. Wizard Beach / Playa Primera: uncrowded beach break that is great for beginners when small, and can offer pretty good conditions when it gets bigger before it starts closing out. Playa Larga / Long Beach: with several breaks it can be another truly world class wave and less crowded than Carenero as it's more difficult to access. When it's on, challenging drops and hollow tubes are in order. Silverbacks: an open ocean wave on the west tip of Bastimentos, Silverbacks is only for big wave surfers. It starts showing at about 10 feet when the swell in the open water channel suddenly hits a sharp ledge which drains the reef and produces Bocas del Toro's most powerful and sickest wave. Experts and pro surfers only! Get in early and go to the right as it's easier to get out before it kills you. There are plenty of unnamed surf breaks in Bocas del Toro and us locals hope to keep it like that for a long time. It is certain that there are many outer island and reef breaks that only few have surfed. Learn how to surf in Panama's Caribbean...Click to collapse. If you want to learn how to surf, nothing beats starting with a well structured and organized surf lesson given to you by a professional and experienced surf instructor. If you have surfed a few times before but want to make sure that you have the correct techniques, a surf lesson will definitely help. Even if you can stand up regularly and ride the face of the wave, you can benefit from surfing lessons to learn how to gain speed and improve your turns and cutbacks. Each surf course begins with the basics: sea safety, surfing etiquette and awareness, understanding the ocean and how waves are produced, proper paddling techniques, how to stand up and catch waves, duck diving, etc. This introduction to surf is given right on the beach with your board in hand. After your first two or three surfing lessons, once you're able to stand up and ride the whitewater in a straight line, we recommend that you work on getting stronger. For this next step, you really don't need surf lessons: you just have to get out there, push yourself hard and practice! The islands of Bocas del Toro offer you several beginner friendly surf breaks and your surf instructor will be happy to tell you where and when to go. Some are beach breaks and others are mellow reef breaks with the waves breaking in deep enough water so that the reef doesn't represent a hazard. You should always go with someone else and never by yourself. After having a couple of surf lessons, you're welcome to just rent a board and tag along, while others are having their lessons and this will help you feel more secure. As already mentioned, once you've got the basics nailed down it's just a matter of getting into the water as much as you can. In this way you'll be able to build up your confidence and strength, especially your arms, back, and core muscles. Even if you're in really good shape, when you start surfing you'll be using a whole different set of muscles that you don't normally use (even swimmers don't use them). Paddling and being able to comfortably get out to the lineup without feeling exhausted is probably the first challenge that you'll have to encounter. Once you're a bit more confident and stronger, then it's time to come back for some more surfing lessons. If you'd prefer, it's also possible to have a surf instructor during this entire period. It's incredible how the body learns through repetition and each time you manage to stand up your body automatically learns how to stay balanced and your reactions become quicker. You'll be able to stay up longer, catch better waves and you'll be able to put into practice board control. It's also a good time to go over other topics such as wave selection and wave positioning. Reading the waves as they come to you, deciding which wave to take, learning where to be and when to be there are tasks and skills that take some time to acquire, and a few additional surf lessons can definitely do wonders to speed up the process. Depending on how you space out your surfing lessons and on how fast you're able to get stronger and make progress, three to five surf lessons should do the trick to initiate yourself in this wonderful sport. Depending on your natural abilities and fitness level, sometimes it's a good idea to have three lessons during your first week, and leave the other two lessons for when you're stronger. Others, with less time on their hands, prefer to sign up for five lessons a week. And yet others will feel more comfortable having fewer lessons throughout a longer period of time. The truth is, once you start, your body and your surf instructor will determine what's best for you. * Prices are in US Dollars. The above prices do not include Panama's 7% ITBMS Sales Tax. Class includes theory part, surfboard, rash guard, wax, transport to surf break, class in the water, and transport back to the school. A boat from Isla Colón, the main island, to La Escuela del Mar Surf School in Carenero costs $2 per person. Theory part of class with Mono Loco starts at the garden of Mono Loco HQ in town so no additional cost has to be added. Daily classes start at 8 a.m. and 1 p.m. (or 9 a.m. and 2 p.m. depending on waves). Meeting point for Escuela del Mar is Bibi's Restaurant in Carenero Island, right next to La Escuela del Mar Surf School (where a boat can drop you off on a dock). Meeting point for Mono Loco Surf School is at the center of town on 2nd Street, right at Mono Loco. Once you're able to stand up and ride the face of the wave, just going out with others who surf better than you and watching how they do it, and asking them questions about it, is the way to go. Once you've started surfing, a couple of lessons here and there will help you to improve your turns and gain speed, but always remember that it's all about having fun and the best surfer out there is the one that most fun has! Don't overcrowd the breaks (try surfing early... people party hard in Bocas!) and always be respectful to locals (it's not your wave) and appreciate the beauty of the ocean. It's always wise to start surfing with a larger board and then depending on how you feel, moving down to a smaller one for more speed, although some surfers prefer to stay with a longboard which is perfectly fine: with a larger board, specially when you're just learning how to paddle properly and position yourself in the wave, you'll be able to catch a lot more waves, and more waves means more fun! What's the surf in Bocas del Toro like...Click to collapse. There are two main swell seasons in Bocas del Toro: the winter season (November through April), which is the primary season (the best months are from December to March) and the summer season (June through August), which is the secondary season (best month is normally July). During the rest of the year, sporadic swells do come through, so some surf can almost always be had if you know where to go, with the flattest months generally being September and October, which in contrast provide the driest months and best ocean visibility, perfect for spear-fishing, snorkeling and scuba diving. Bocas del Toro surf has been compared to Hawaii's north shore (on a smaller scale) and certain places in Indonesia. The way the bottom drops off the coast is one of the reasons why the waves break with so much power in Bocas del Toro. Even though Bocas del Toro only receives short period swells (mostly under 11 seconds), the dramatic drops in the continental shaft create hollow, barrelling waves. Add to that some reef, a little sand or a certain angle to the coast line, consistent seasonal swell seasons, and you got yourself some serious tropical world class surf. The winter season swells (November through April) are produced by the combination of the Intertropical Convergence Zone or ITCZ, where winds originating in the northern and southern hemispheres come together), the dry winds of the northern coast of Colombia and certain Caribbean islands which are practically deserts, and the Caribbean high pressure systems that form every winter in the mid Atlantic, providing significant push and pressure gradient differences. The result of these three combined factors is a massive acceleration of low pressure pushing constant north eastern swell into Bocas' wave window, which does not stop for weeks or even months at a time. Another swell contributor which brings a more northerly swell comes from the low pressure systems that drive swell down from the Gulf of Mexico into other spots of the Archipelago of Bocas del Toro. The summer season's swell is produced by the early hurricane season coming off Africa (Bocas del Toro is not within the Hurricane zone by the way). Just like during the winter, the swell glides over the Atlantic and accelerates thanks to the high pressure systems of the Caribbean, and then hits several dry and windy islands in the Caribbean and northern coast of South America, producing the same type of NE swell as in the winter. The surf in Bocas del Toro is just being discovered and remains relatively unexplored. Hat tip to Island Path Panama for researching and explaining so well about how the swell in Bocas del Toro, Panama is produced. Lots of the explanations on this page come from them. • Its owner and main surf instructor, Luis Bertone (Argentinian married to a Panamanian), has been surfing for more than 25 years and teaching for over 10. Luis Bertone is no rookie, has surfed all over the world, and really knows what he's doing and talking about. • The rest of the surf instructors at La Escuela del Mar are all native Panamanians personally trained by Luis as surf instructors and in CPR. Although all of them are bilingual and can perfectly speak English, it's great to know that you'll also be able to practice your Spanish out at the surf with native Spanish speakers. When you surf with La Escuela del Mar you're supporting local Panamanian families as opposed to having a surf lesson with a tourist that is just passing by, whose surfing credentials haven't necessarily been tested. • Mono Loco's surf coaches and owners Juan David and Hannes are international BSA and ISA qualified surf instructors and certified lifeguards. They will make you feel 200% safe in all conditions and encourage you step by step to become a better surfer. Juan (ex-longboard champion from Colombia) moved to Panama years ago and is an active surfer with a university degree in Tourism. Hannes has been surfing from a young age. 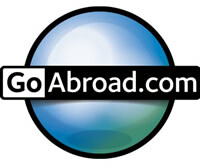 Traveling the world looking for surf he ended up in Bocas del Toro, Panama years ago. Joan, Mono Loco's office manager, used to manage surf camps for Good People Surf in Spain. Last year she stayed in Holland to promote and support the girls surf scene together with the HSA (Holland Surfing Association), SurfchicksNL and Babes on Waves. • At La Escuela del Mar they really want you to succeed as a surfer and get stoked. Luis is really passionate about helping his students learn how to surf and employs easy to follow techniques to get you going. With La Escuela del Mar you'll not only learn how to properly surf, but you'll also gain awareness about what is happening in the water around you, surfing etiquette, how to read and understand surfing conditions and other indispensable knowledge that you need as a true surfer. • Mono Loco Surf School wants to share their passion and love for surfing with others. They want to help the sport progress in the right direction by giving the right knowledge and skills to all new and upcoming surfers. Their young and creative surf team will give you a professional, educational but above all, FUN time in the tropical waters of Bocas. Surfing is not just a sport, it gives you a more fun, healthier and happier life! Mono Loco Surf School is ready to get you in the water and show you a good time! • La Escuela del Mar has excellent surfboards (more than 30) for surfers of all skills and levels, and soft-tops as well. Luis has worked as a shaper in the past and personally maintains all of his surfing equipment ensuring performance and safety. • Mono Loco Surf School provides the highest quality boards. NSP surfboards deliver fun and stoke from your first wave to your last. They are extremely versatile, easy to use and accommodate beginners and experienced surfers. • Student to instructor ratio is 1:3 or 1:4 max. It all depends on students' size, ability and level of fitness. A low student to instructor ratio ensures not only that you'll get the attention you need, but also that you and others will be safe. La Escuela del Mar is Located in Carenero, only a 5 minute boat ride from a world class break, and with surf for beginners right in front of it. At La Escuela del Mar they instantly know what the surf looks like and when it's time for your lesson they'll know exactly where to go. Lessons can be family oriented, for students 4 years and older. If you have a friend or a family member that is interested in learning how to surf, you may watch right from the comfort of La Escuela del Mar's dining room, or enjoy other fun activities for parents or people not surfing such as kayaking, snorkeling, and sunbathing. • As a total beginner they'll start with a theory class at the Mono Loco Surf School HQ in Bocas Town, just 5 minutes walk from Habla Ya. You'll learn all basics about surfing, the break, surf etiquette and safety so you don't have to worry about anything but catching waves when you're in the water. After your theory class we walk 1 minute to the dock to catch the boat to the surf spot (included in the price). • Classes can be given in fluent Spanish, English, French, Dutch or German. As a Habla Ya student it's great to learn some surfing basics in Spanish. • La Escuela del Mar will take you to surf breaks that are suitable for beginners. Depending on the swell size it could be Black Rock or Old Man's in Carenero, or even right in front of La Escuela del Mar. If the surf is small, Wizard Beach or Playa Primera could be the ideal place for your surfing lessons. La Escuela del Mar won't crowd a surf break and won't take you anywhere that's not suitable for your level. Luis has been living in Bocas for over 10 years and knows where and when to go. • Depending on your level and the ocean conditions, classes will be given at Black Rock or Old man's. Both are safe and easy surfable spots with longer waves. For intermediate surfers there are more spots to choose from. According to your surf experience Mono Loco Surf School picks the right spot for you. Renting a surfboard goes from $10 - $20 USD per day depending on the board. The companies do give deals if you rent it for several days/weeks. The price per day depends on the size and condition of the board: the larger the board and the newer and in better condition it is, the more it will cost. If you're staying in Bocas del Toro for quite a while you can easily purchase a new or second hand surfboard at a local surf shop such as Tajada de Sandia or Agua Mala, or at La Escuela del Mar Surf School or Mono Loco Surf School where you can also rent a surfboard. If you already know how to surf and know what type of board you want, you can even have your own custom made board with JCS for around $500 depending on its size, or you can also just buy a new one. If you're going to bring your own board do take into account that the local airlines won't make it easy for you if your board is over 7 feet. Surfers do travel with their boards by bus all over Panama. The islands of Bocas del Toro have barrelling reef and beach breaks for you! Contact us!